Property Layer: The first step in implementing physical security layers is establishing a secure perimeter from your property line to the exterior of your building. Exterior Layer: Next, we make sure that the outer layer of your building is secure – including all doors, windows, and walls. Interior Layer: Finally, we ensure that the building’s interior remains secure to keep your employees and assets safe at all times. Federal Protection approaches physical security design and maintenance with several custom solutions in mind – beginning by defining the optimal security hardware for each unique space. To supply the most secure modular vault, standard vault, or safe for each client, we partner with the world’s leading manufacturers. 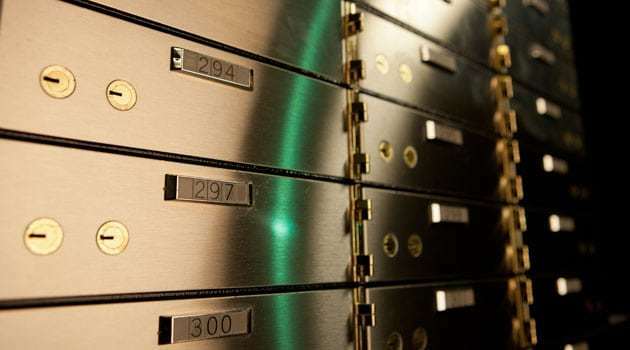 Our physical security design specialists can also install the perfect pneumatic system, bullet-resistant glass, teller line solution, and after-hours depository safe for your institution. We recognize that customers are your top priority. That’s why we schedule regular physical security maintenance and inspections to prevent most hardware problems before they occur. The result? Your customers can enjoy better SERVICE with far fewer security complications. MULTI-LAYER PROTECTION FROM THE MOST TRUSTED EXPERTS IN THE MIDWEST. THAT’S THE FEDERAL DIFFERENCE.